Stowe, Vt―Boundless Journeys, an award-winning international adventure tour operator, took home one of the top prizes once again in Global Traveler magazine’s annual GT Tested Readers Survey. 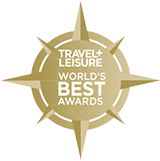 For the second year in a row, Boundless Journeys has ranked among the top results in the "Best Tour Operator" category. In 2010 Boundless Journeys ranked #1. "Boundless Journeys is committed to offering exceptional, authentic, enriching travel experiences and we’re honored that our loyal customers have, once again, selected us for this award," said Matt Holmes, Boundless Journeys’ founder and president. "Recognition like this means a lot. Our well-traveled clientele have numerous tour operators they could comment on in these surveys, and the fact that they repeatedly rate Boundless Journeys among the very best is gratifying." Boundless Journeys has been offering small group walking, hiking, trekking, sea kayaking, expedition cruising, wildlife safaris, and cultural tours to more than 30 countries worldwide since 2003. Expert local guides, memorable accommodations, and impeccable customer service are hallmarks of a Boundless Journeys adventure. For a free catalog or further details on any of Boundless Journeys’ worldwide itineraries, please call 1-800-941-8010 or visit www.boundlessjourneys.com. Note to Editor: To request a copy of the Boundless Journeys catalog or detailed itineraries, call toll-free 1-800-941-8010, or visit www.boundlessjourneys.com. Photography and interviews are available upon request.